Keeping a bathroom acceptably clean is quite easy; but taking it to the level of ‘like-new’ clean can be difficult thanks to soap scum. 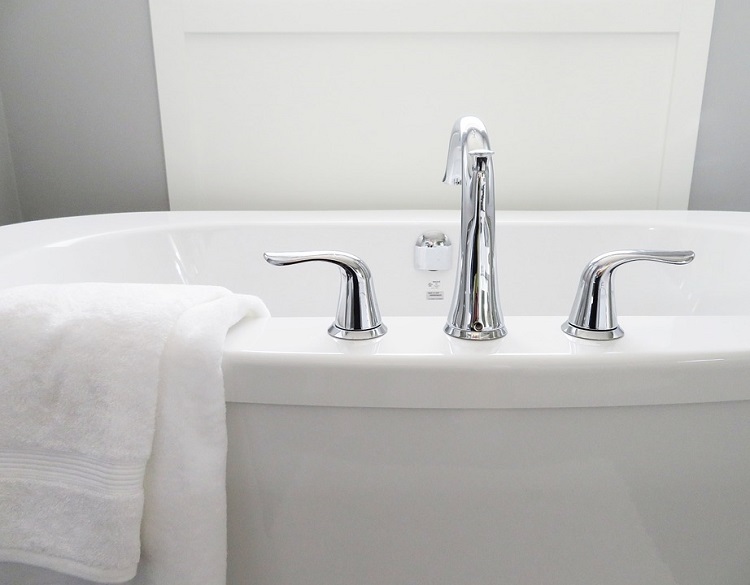 Soap scum is quite difficult to remove especially if it has been present on fiberglass, shower curtains, tubs and other bathroom surfaces for a long time. 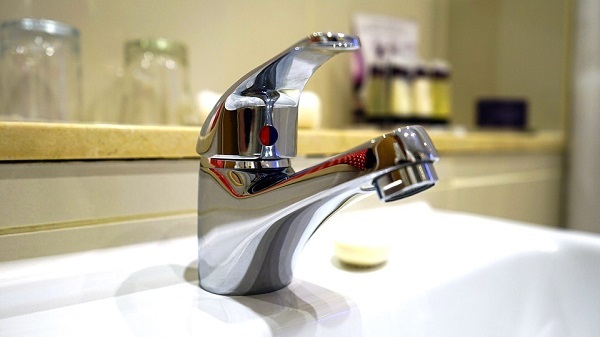 Let us take a look at some easy ways to remove soap scum. Lemon oil furniture polish is a great soap film remover. Use it on the tiles, shower and bath tub to remove the dull gray film. Follow up with a scrub using a soft rag to wipe down the tile and doors. If possible, leave the lemon oil polish for a few minutes to work on the stains. For heavy buildup residue, use a scrubber or a soft cloth or paper towel can also do the trick. Lemon oil retards future soap scum buildup. To clean shower tile grout with baking soda and vinegar, mix the two ingredients and spray the mixture all over the tiles. You can also spray the shower curtains with the solution and let it sit for a few minutes. This remedy will get rid of soap scum and also kill mold and mildew. This is an easy soap scum cleaner recipe to remove the grime once and for all and prevent future buildup. In a spray bottle, mix all ingredients. Turn on the shower on the hottest sitting and let the hot water run for 5 minutes. The steam and heat will loosen the soap scum from the bath tub and tiles. Now liberally spray the above solution on the tiles, tub, plastic shower curtain etc. Let it sit for 15 minutes. For tough scum stains, let it sit for an hour. Wipe off with paper towels or rag. For glass and fiberglass surfaces, after you have cleaned the soap scum, add a few drops of lemon oil to wipe them down. This will prevent future buildup of scum. This is an easy method for cleaning fiberglass shower stalls as well. Store them in glass shaker jars (reuse spice jars). Sprinkle a bit on the surface that needs cleaning. You can also add a bit of water if needed. 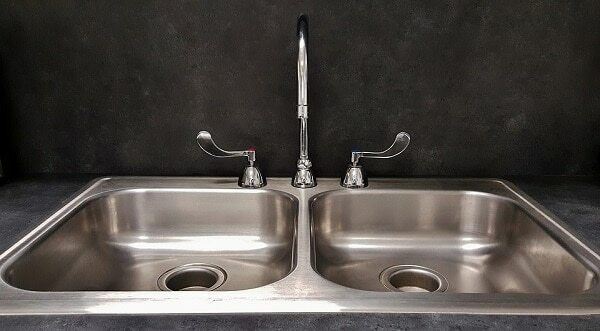 Use a scrub or a sponge to scour the surface until all hard water stains and soap scum is reduced. This is the best remedy for hard water stains as well. The best way to get rid of soap scum is to prevent it in the first place. Try changing brand of soap you use; many like Zest® and Ivory® are known to give less scum. Toss the shower curtain with two terry towels in the washer. The towels will rub the curtain and remove the soap scum. Also add a cup of vinegar in the washer. Vinegar is acidic and soap scum is alkaline; so it removes the scum easily. Take the curtain out of the machine before the spin cycle and hang it to dry. Marble is very delicate so avoid using harsh acid or vinegar based soap film remover. Instead use ammonia. Add ½ cup ammonia per gallon of water and gently scrub the marble. Note that frequent use of ammonia can also dull the surface. So use it only when necessary. It is best to prevent soap scum on marbles by wiping down surfaces with an old towel after baths or showers. Rub your ceramic tiles with car wax. Let stand for a few minutes and then buff them as you would a car. They will gleam for you! Good old dish soap is the best homemade shower cleaner too. Pour the dish soap all over the glass shower doors and scrub the surface with towel, paper or old cloth. Do not rinse until you have cleaned the whole door. Replace paper towels after 3 or 4 scrubs, rinse with water and dry. Mix vinegar and lemon juice and spray down the tub, fiberglass doors and tiles. Let it sit for some time. Now sprinkle baking soda all over the treated surfaces. Scrub and wipe down soap scum and all other stains. After cleaning tiles off of soap scum, use RainX to keep new scum from forming. This glass cleaner prevents new buildup. 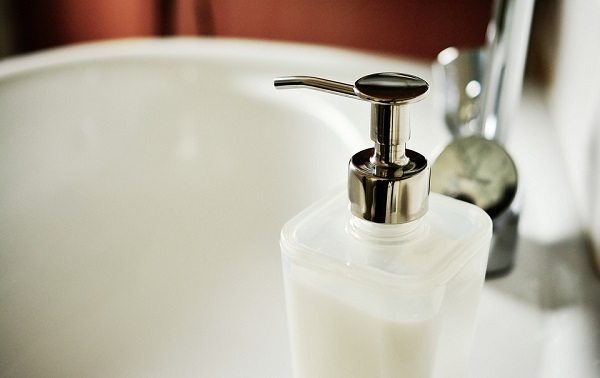 Try these 11 easy ways and keep your bathroom free from soap scum.